Building a reengagement system for our region’s opportunity youth is more than just starting programs. Providers need high-quality tools and approaches to support young people who have been pushed out of traditional high school settings. The Open Doors Improvement Network aims to provide these tools and approaches to five Open Doors programs that are part of the King County Reengagement Provider Network. 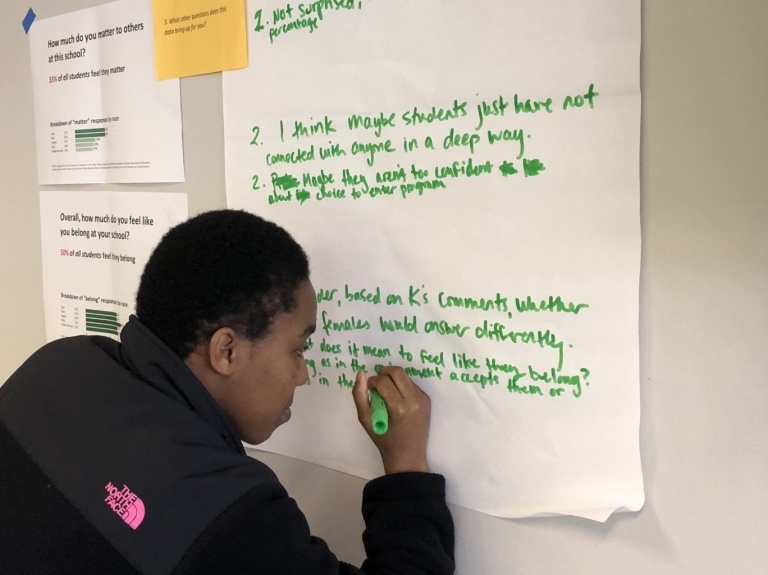 Throughout the year, they will be identifying indicators to track progress, using an equity lens to inform program improvement, and ensuring genuine youth leadership in their programs. These programs—the Bellevue CEO Program, Federal Way Open Doors, Highline Learning Centers, the Learning Center at Seattle Vocational Institute, and the Southwest Education Center—have recruited improvement teams that include students, teachers, case managers, and administrators. They receive individualized coaching support and participate in four cross-site workshops so they can share and learn from their peers.